Just pull the basket and this music box plays Hush little baby as a lullaby. The basket slowly goes up again, so that the bunny can sleep in it. 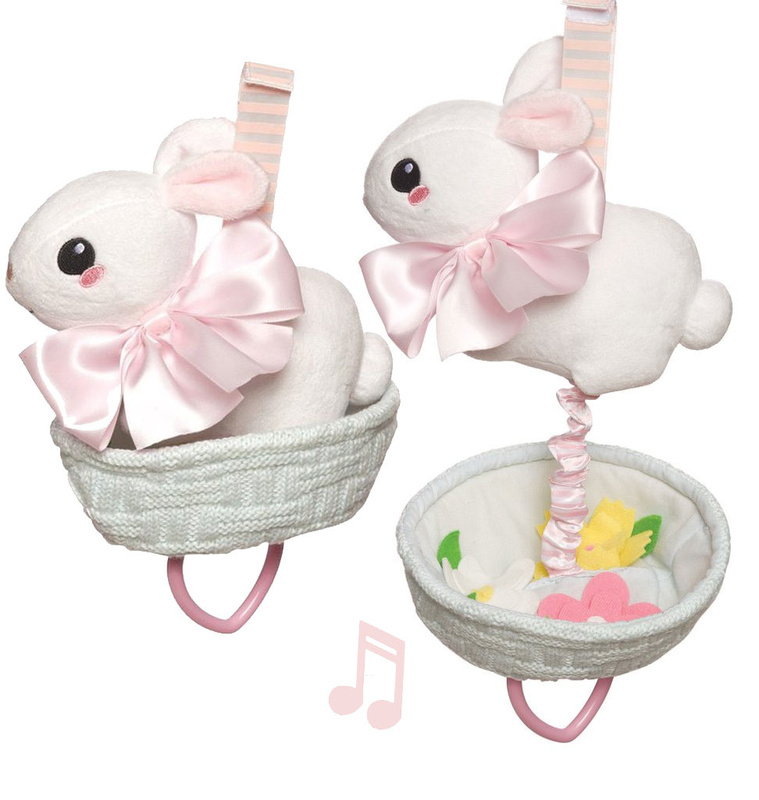 Music box and original baby shower gift from Manhattan Toy, This pull musical toy easily attaches to most cribs, carriers and strollers using the fabric loop with Velcro-like closure. a nice flamingo stuff for the little ones! Designed by Jellycat London. I am a very suitable baby gift from Manhattan Toy! 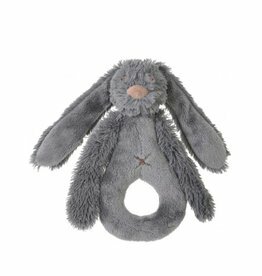 Dark gray rabbit rattle. This is Richie from Happy Horse. A cuddly doll from Jellycat. Sweet and beautiful! Five bunny ornaments made in metal with handpainted details.